Chicago police are asking for the public’s help in identifying two vehicles that were used in separate hit-and-run incidents earlier this year. In one case, a bicyclist was seriously injured in Lincoln Park. In the other, a pedestrian was struck in Lincoln Square. Both community alerts were issued on Tuesday. 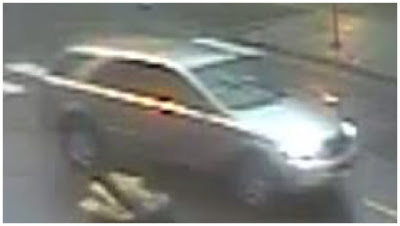 Around 9 p.m. on June 14th, a 46-year-old woman was struck by a car as she rode in the 1200 block of West Cortland Street near the Clybourn retail corridor. 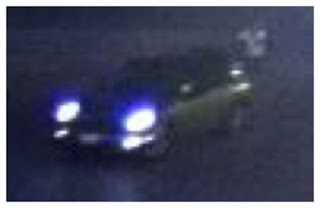 The car that was involved is a gray Mini Cooper two-door coupe. Video released by Chicago police on Tuesday appears to show the bicyclist traveling westbound in the bicycle lane on Cortland when she is struck by the right side of the Mini Cooper. Enhanced images of the incident and the newly-released video are below. Anyone with information about the incident or the wanted vehicle is asked to call the CPD Major Accidents Investigations Unit at (312) 745-4521 about case JB-307301. A 35-year-old woman was struck by a car as she crossed the street in the 1900 block of West Foster Avenue at 7:40 a.m. on February 20th. In a community alert issued Tuesday, police said the wanted vehicle is a gray mid-sized SUV with a partial license plate number of A63609. It was last seen traveling westbound on Foster Avenue from Wolcott Avenue. Anyone with information about this incident can contact the Major Accidents Investigations Unit in reference to case JB-158426.